HALIFAX, NS – While full competition details are yet to announced, the beer style to be brewed for the 2018 edition of the Garrison Brewing Home Brew-Off has been revealed via Facebook. 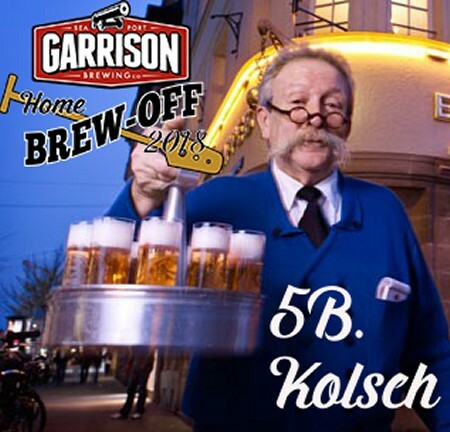 For this edition of the annual competition, homebrewers in Nova Scotia, New Brunswick and PEI will be challenged to brew the perfect Kölsch, as defined by Category 5B of the BJCP Style Guidelines. Based on the timeline followed in previous years, full entry details will likely be announced in mid-December, with entries accepted until late February, and the winner announced at a gala event in late March, where the commercial batch of the 2017 winner will also be launched.